Entertainment Earth Exclusive! Bring home an entire army in one box with this Star Wars The Black Series Imperial Forces 6-Inch Action Figures - Entertainment Earth Exclusive. 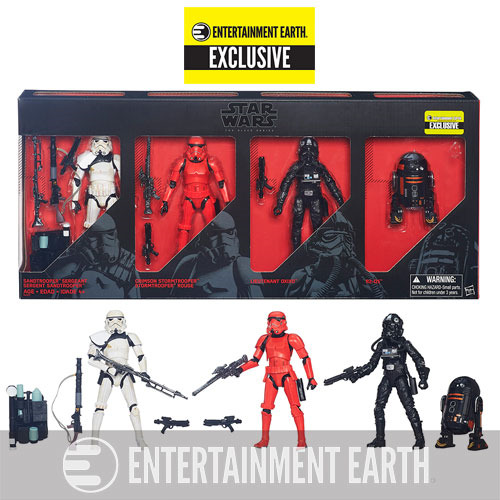 The set brings you four 6-inch scale plastic action figures in the employ of the Galactic Empire - including one you've never seen before as a toy! Each features awesome weapons and amazing paint, so you really should pick up a few of them to serve Darth Vader and the Emperor on your toy shelves. Ages 4 and up.